The seeds of the relationship that drives one of the country's fastest growing printing companies were sown over 60 years ago on a rooftop in Newark, New Jersey. That's where Arnold Greebel's parents would take him on nice days allowing the toddler to bask in the sunlight and soak in the panoramic views such a vantage point provides. Sometimes, as his parents would relate to him years later, Greebel would cast his eyes to a nearby building, where a young Janet Biddelman was also enjoying the weather from a rooftop carriage. Fast forward some 20 years later. Arnold had earned an engineering degree from Fairleigh Dickinson University and was working for AT&T. Janet, meanwhile, had finished her studies in accounting at Boston University and had recently purchased Whitcomb Printing. Both single, their lives were about to change drastically thanks to a blind date. "Our families knew each other and my cousin was friendly with Janet", Arnold recalls. "I knew of her, but our parents weren't that close." So the engineer and the accountant were fixed up; they went out that evening in 1966 for a romantic dinner and dancing. It must have been romantic, because they married only two months later. "We just hit it off," Janet declares. Over thirty-five years after that blind date, the Greebels' are still together. "It's kind of strange, but the business has helped to keep us together, believe it or not, because we have so much in common," Janet notes. And their union is paying off in many ways. 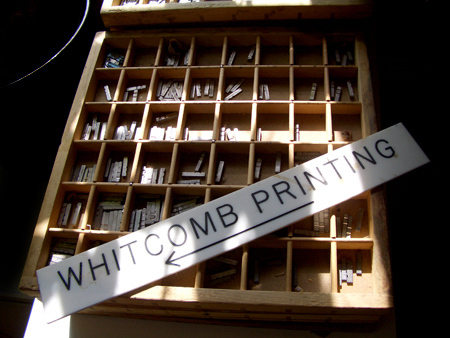 Whitcomb Printing started life as a broker, farming out the production of business cards. It was Arnold's idea to change Whitcomb into a full-fledged printer, so the couple purchased a Multi and a letterpress, and set up a shop in their basement. "The first big move was just getting out of the basement and into a small office building," Janet recalls. "I never thought it would grow like this." 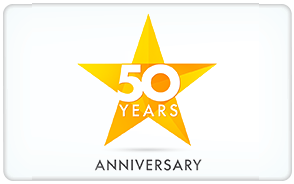 Before long, however, Arnold decided to start his own company and, in 1967, Dimensional Graphics - a traditional prepress business was born. Throughout the 1970s, Dimensional generated nearly twice as much income as Whitcomb and Arnold became a prominent member of the New Jersey Typographers Association, serving as it's president from 1978 to 1981. In 1979, the Greebel's purchased one of twin side-by-side, 5,000-square-foot buildings to house Whitcomb. 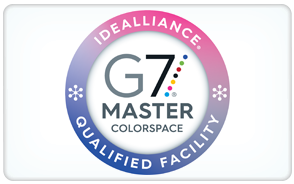 Eight years later , they acquired the neighboring building or the home for Dimensional Graphics. But the typography industry began to die out in the late 1980s and, to counter the decline in business, Dimensional became one of the first prepress firms in New Jersey to install desktop equipment. While the new technology helped to rejuvenate profits at first, by 1992 Whitcomb accounted for 60 percent of the business' annual volume. On January 1, 1993, they merged the two companies, creating the sole entity of AJ Images. Janet serves as the President, while Arnold is Vice President of Marketing and Sales. It was a move that would lead the company to where it is today. AJ Images was buoyed by the fact that both companies already had the equipment, staff and client base needed to succeed. With such a head start, the merger began a six-year period of aggressive growth. 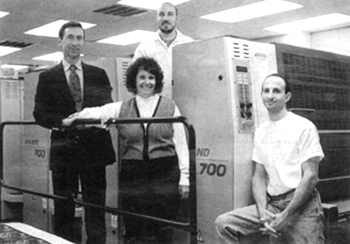 AJ Images became an incorporated business in 1995 and two years later expanded by adding bindery equipment, including a large MBO folder. 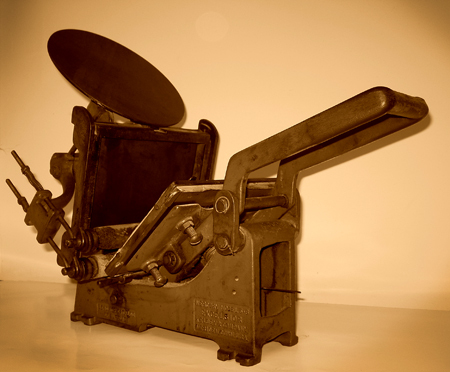 The following year, however, they made the first leap toward becoming a serious player in the printing market by adding the first of 3 40" Man Roland presses. Both Janet and Arnold know they will someday step away from the business, as thier children, all in their 30's, are preparing to assume larger roles. Aharon is Director of Plant Operations, Steven works in the bookkeeping department and has setup a new accounting system. Their daughter Linda formerly worked in bookkeeping and their other daughter Lisa worked in sales. And the business will continue to run smoothly should the Greebel children follow their parents' lead. "Lean and mean is the way we do business," Arnold states, "In order to bring business in, you have to have three things: quality, price, and service. We put them all together and give clients the best of all three. And we're always on time." "Our major concern is staying in touch with customers," adds his wife. "We don't try to evade an issue. 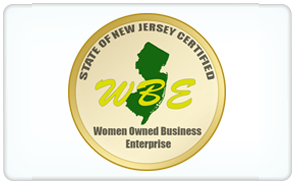 We answer the phone, talk directly to our customers and I think they appreciate that." Those are the same ideals that started with Whitcomb over 40 years ago. The loving relationship between this team has lasted just as long.